One of the few cordless vacuums that can clean the whole house. 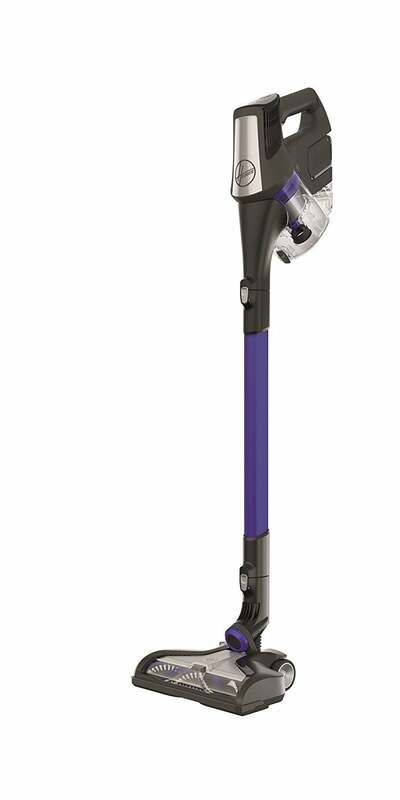 This Hoover stick vacuum also converts to a handheld. The lithium ion battery holds a charge for 3x longer runtime than most cordless vacuums. Wind Tunnel tech and advanced swivel steering enhance suction and maneuverability—a winning combo. Store it in a sturdy spot because this Hoover vacuum has a tendency to tip over. The low-profile Hoover Linx cleans hard-to-reach areas. The Extreme Recline handle makes it easier to clean under and around furniture. The edge cleaning bristles cleans all the cracks and crevices too. The suction on this Hoover vacuum is less impressive on carpet than hard floors. Love area rugs but hate vacuuming them? This Hoover stick vacuum is for you. A Powered Brushroll with Cyclonic Tech makes a smooth transition high- to low-pile carpet. Non-marring wheels are also safe to use on hard floors. Some customers wish the Hoover Linx had a hose attachment, but that’s an uncommon feature across all stick vacuums. 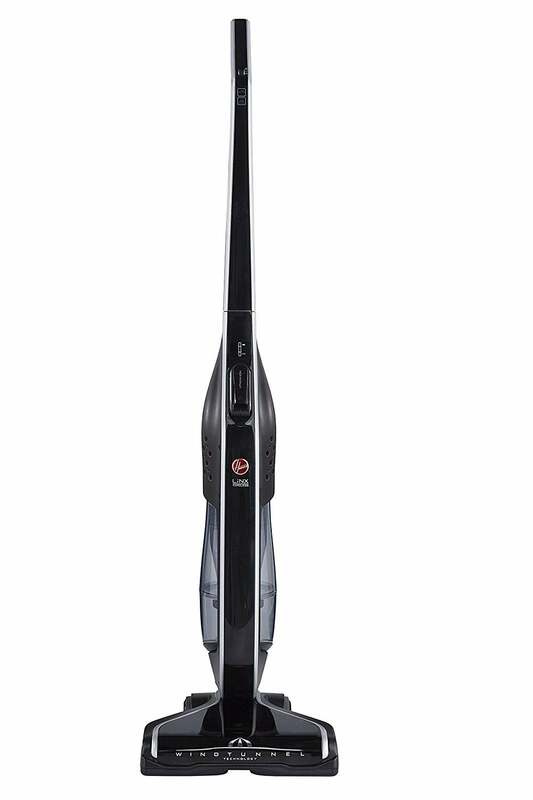 A smarter version of the Hoover Linx, this is the best Hoover stick vacuum for cleaning small messes as soon as they appear. Its slender, upright design makes it easy to store in a kitchen pantry or shallow hall closet. Use the fingertip controls to turn the multi-floor brushroll on or off. It has a short battery life that takes a little longer to charge than other Hoover cordless vacuums. The commercial-grade TaskVac is the best Hoover stick vacuum for allergy sufferers. The bottom release dirt cup is easier—and cleaner—to empty and the easy-rinse filter can be hand-washed with water. Some customers question whether this industrial Hoover stick vacuum really has commercial-grade suction. If filtration, ergonomic tools, and extended warranties are important to you, you can filter your search for a vacuum cleaner to Hoover. To narrow your options even more, our team read reviews and tested some ourselves to find the best Hoover vacuum for your home. To make your search for the best stick vacuum easier, we tested and scored vacuums by suction power, noise, maneuverability, accessories, and attachments among other criteria. 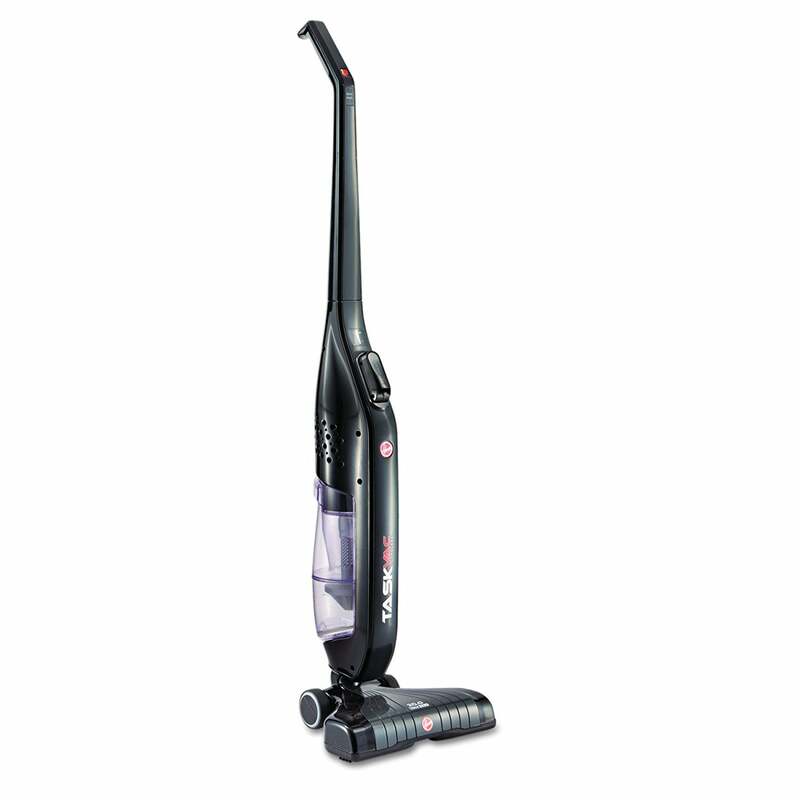 Dirt Devil is one of the leading vacuum brands on the market, offering handheld, upright, and stick vacuums. View five of the best Dirt Devil stick vacuums.